So this brings to me to the HARD QUESTIONS that you need to ask yourself before you get into the RETAIL business. 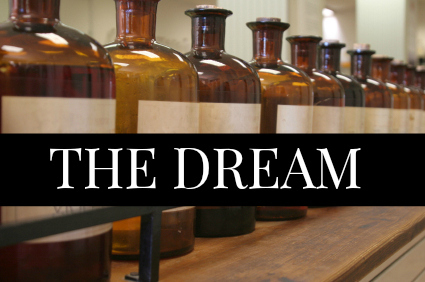 Are you using the “DREAM” of owning a retail shop to cloud your judgment? We’ve all been here before— that’s why we got into business in the first place. We were all dreaming of owning a cool bath and body business like “XZY” down the street and dreamed of how happy you would be once you had it. But don’t get sold on the “IDEA” of having business, do you research and find out what the day-to-day operations will be like. It is HARD work and involves a lot of time. Can you afford it? Do you have enough income to cover overhead just in case? I had a backup plan that included sales from difference resources just in case I didn’t have sales for that month. You will need enough to include your rent/lease/utilities/maintenance expenses. Money is scarce and it’s tough getting business credit. Credit cards helped me getting started with the basic start-up costs involved with opening a retail shop. Most of my income coming in my business got rolled back into the business for a few years. A portion of it continues to get rolled back into the business today. A few tips: In the beginning a landline phone is not necessary, you don’t need an internet connection in your new place either or pay for regularly scheduled picks from UPS and FEDEX. Save those for later on when your business is established and making money. Use the “Square” for all your credit card transactions and your business cell phone as your regular line. Do you have unlimited time to invest in your retail shop? Post your hours and be present/open during those times. Competition- This should be included in your feasibility studies and it will give you a good opportunity to scout out the competition. I would inquire discreetly how well they are doing. You could learn from them and adjust your ideas before you get started. You could also ask your small business rep to see if they know them; maybe they could give you insight on what to expect. Your SBA office should be able to help you gather the data to support it. 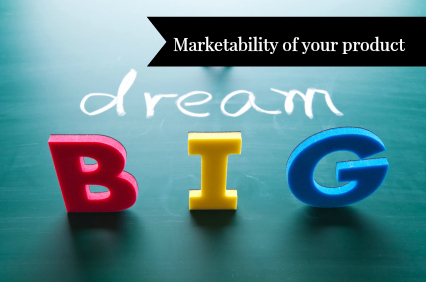 Find out if your “DREAM” idea will bring in the money or send you into financial ruin. Links for you to check out! Choose the right location for your business. 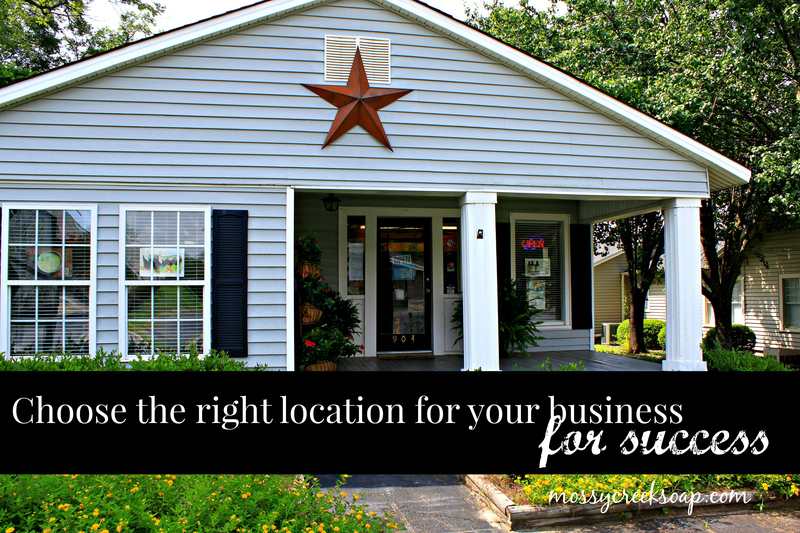 LOCATION, LOCATION, LOCATION– The location for your business is very important to your success. If you are looking for walk-in traffic then you need a retail location on a busy street. But these locations are expensive. It’s hard starting out and if you do not have a steady business income before you open your doors you could be struggling in your first 6 months. Remember as your business grows so will you, you may not stay in this location forever. In fact most businesses move from their original location to larger one or better location in their first two years. Remember the first car or house you bought? If you are like most folks that didn’t last too longer either. Before entering into your first lease ask for any move-in specials. I received one month free if I signed a 6 month lease. You may need to find a happy medium between steady foot traffic and one that is not too expensive. After my first year in business it was a necessity to get my operation out of my home so I reserached opening a location in a small shopping center. Which was close to a residential area, included a month to month lease and paid utlities. That way if I could not afford to pay for I would have a way out without losing everything. In the begining I did not get many walk-ins but it provided me with a place to do business that offered me credibility. 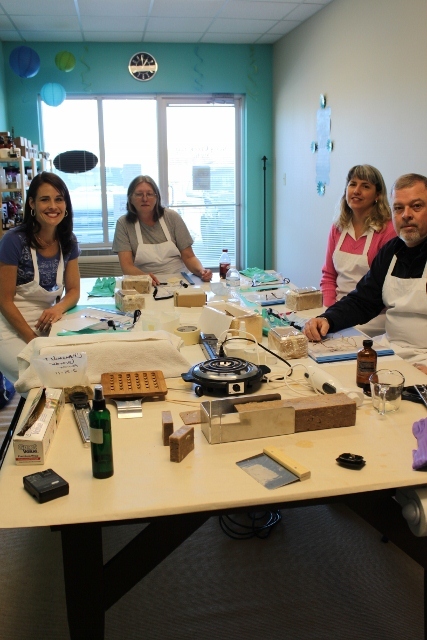 Take Our NEXT Class on opening your own SOAPMAKING BUSINESS. Most businesses run out of money the first year in business because of bad planning and choices. Most people get caught up in the dream of having a business and realized too late in the game that their planning was not funded well enough. In the next few weeks I will be sharing with you my tips for starting up a business on a shoestring budget. I will be sharing some easy to implement ideas to saving money during your first years in business. Get the word out without paying a dime, learn about unconventional ideas that lead to more sales and customers. Businesses are as different from each other as they are to the personalities of their owners. The are… after all… our babies. From the business idea, conception, growth, to established and finally the exit. You can view your business like a growing child into adulthood and then the exit or death of a business– (infant, toddler, teenager, adult hood, maturity and finally the exit). If you have dreamed of having a retail bath and body retail shop this is for you. So today, I am going to try to help you decipher the why, what and how. But mostly how I got started. My early career started in direct sales with a well-known company who sold bath and body products through retail mall store fronts. They had a separate “At Home” division in which I brought their products to the living rooms of a few of my closest friends and family. I fell right into their branding, followed their program to the “T” and I was successful. After about two years into selling, the company decided to closed their “At Home” division . I was then left with customers and NO product. That was when I decided to open my own business and soap seemed to be the next best thing. After discussing it over with my family, we decided to become entrepreneurs. My husband and I began the process of making soap, while learning how to brand it and build a company selling it. It took me a while before I felt comfortable with product manufacturing but through time and testing we preserved. After my first year in business I needed to get my operation out of my home so I started looking into opening a studio. I found a location in a small shopping center within a residential area that offered a month to month lease that included all utilities. That way if I could afford to pay for it if the money was not coming in . Without losing my shirt! This was my first studio. Rent was cheap, it was month-month and it included all utilities. But was NOT in a busy area. Things did not happen they way I expected it to. Most people believe all you have to do is open a business and your customers will be rushing in to buy your products. It’s much harder than that otherwise everyone would be sucessful. Soon after I opened, I discovered that I needed to have more than one revenue stream coming in to keep my doors open everyday. When I began including different revenue streams and it was then I noticed a difference. Which included maintaining a website, an ETSY shop and adding more wholesale accounts along with in-house classes. It was then my business began to financially stand on it’s own without my own contributions. Then things finally started coming together. My methods of getting and staying in business are unconventional; so although these things worked for me; you will STILL have to do the foot work to find out what works for you; in your own backyard. Here are some links to help you get started!